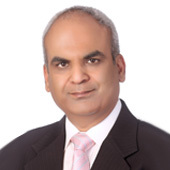 Mr. Nalin Singh has experienced a fascinating life as a top global corporate executive as well as an entrepreneur and a film maker in a career of over 25 years. He is also the author of several books, "Reboot to Reconquer: Navigating the Afternoon Of Life" was a bestseller in its category in 2015 and dealt with ways of coping with mid life crisis. He is a life coach and a business strategy mentor to CEO's, boards of corporations, celebrities and entrepreneurs. His latest bestselling book "Get Funded Now" deals with the brutal world of funding and guides Entrepreneurs on navigating the funding process successfully.